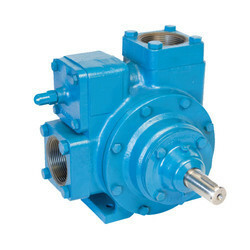 Manufacturer of a wide range of products which include blackmer sliding vane pump. We are leading distributor and supplier of Blackmer Sliding Vane Pump. We are looking most of the inquiries from Vidarbha, Chattisgarh And Madhya Pradesh Area Only. Ideal For Thin Or Non-lubricating, Viscous, Abrasive And Shear Sensitive Fluids. Suitable For LPG, CO2, Liquid Ammonia. Wide Range Of Flow And Pressure. Prompt After Sales, Service, And Spares.